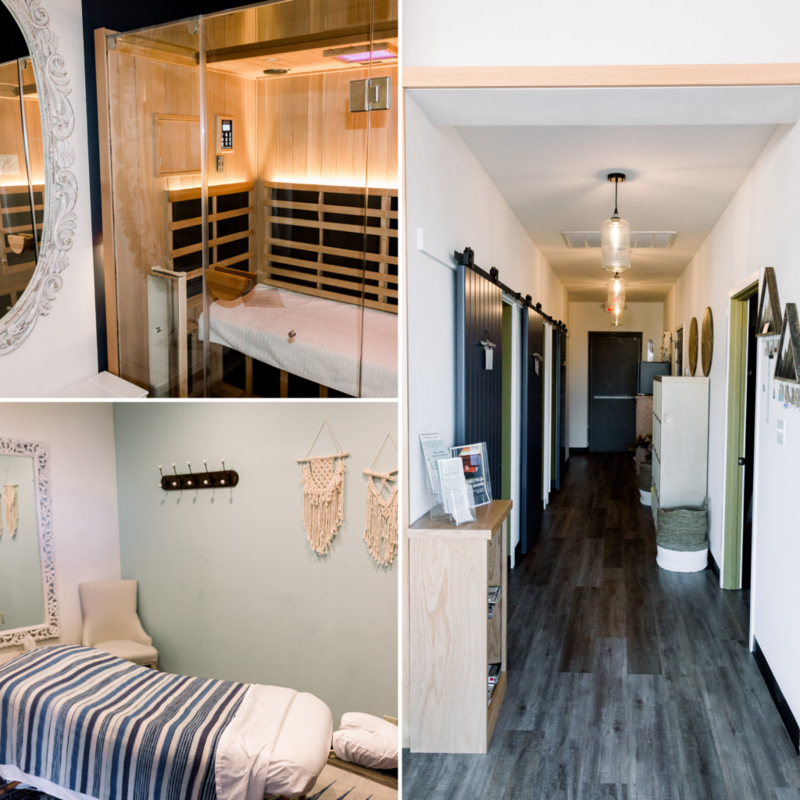 What began as a typical Monday, was quickly elevated as we wandered into the health oasis behind the glass doors of Method Infrared Sauna & Wellness. It’s hard to miss the welcoming face of co-owner, Debralee Letchford, or the sliding ladder that thoughtfully graces the almost floor-to-ceiling bookshelves behind the front counter. Then there is the large, hanging chair and prevalence of greenery that brings even more life to the space. Just a few steps inside and you get the feeling that Method is both unfussed and upscale, decompressing, and revitalizing. 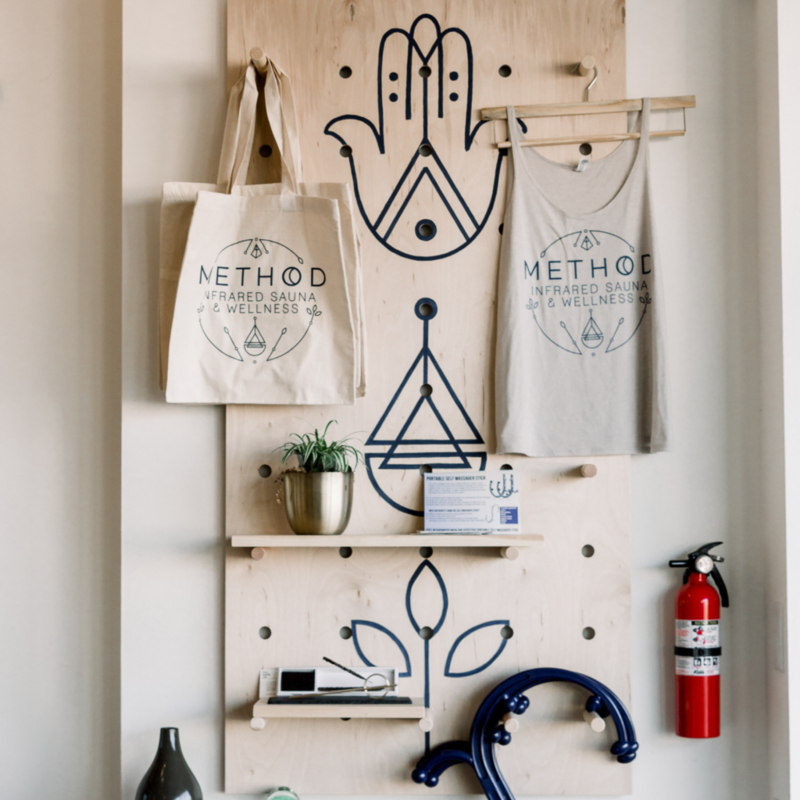 In the words of co-owner, Sarah Blehm, Method is a center for people to explore alternative health methods and treatment types. 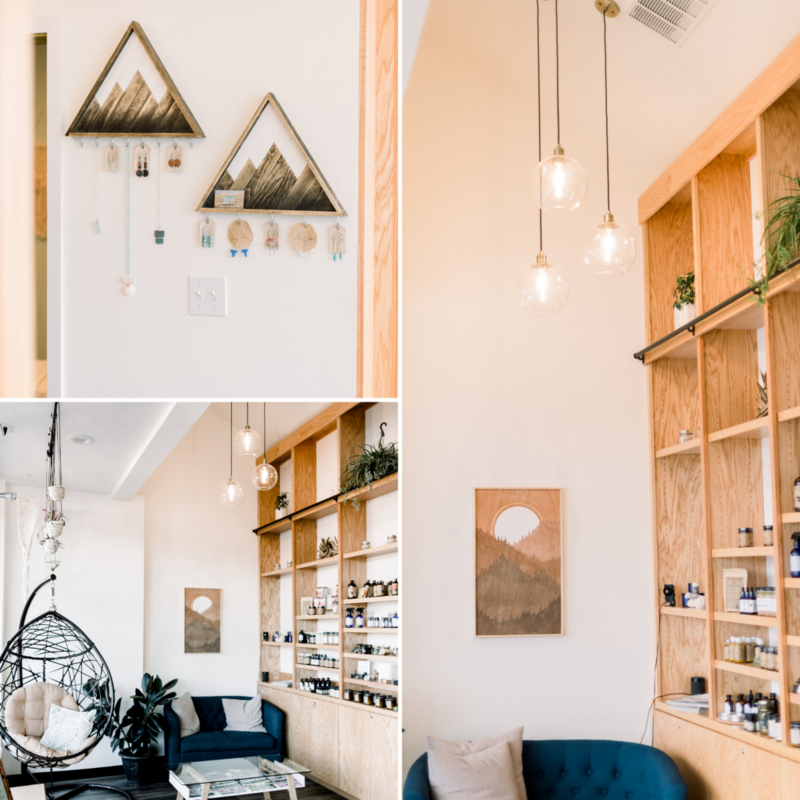 Its three main branches include: top-of-the line infrared saunas, wellness services like massage, nutritional therapy, ayurvedic treatments, and a growing apothecary that sells holistic goods and supplements. “About two years ago, I was having some personal health issues – mostly gut health and hormone-related – and was struggling to find the care and treatment I needed. After exploring and researching on my own, I discovered holistic treatment and adaptogenic wellness supplements that enabled me to take great strides toward recovery where traditional medicine seemed to miss the mark,” Sarah tells us. 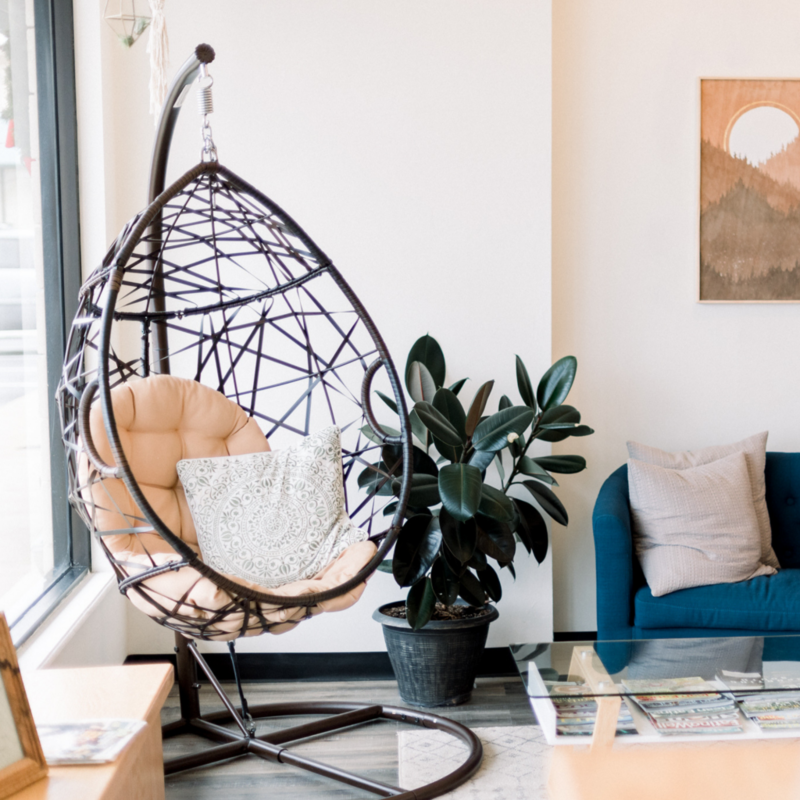 Notably, Virginia Beach did not seem to have any kind of business like it, so Debralee and Sarah decided it would be the perfect place for people to find their wellness method by learning, discussing, and discovering new ways of taking care of themselves. They are certainly succeeding as the atmosphere throughout Method’s studio space feels inviting and vibrant with curiosity. “Debralee and I go way back. We first met at a wellness center in Richmond where she was running the massage department, and I was managing the administrative side. We totally hit it off and have been friends ever since, even through all of life’s changes, moves, kids, you name it,” Sarah exclaims. After meeting in Richmond, Debralee temporarily left her Virginia roots by living in Colorado for six years. She was able to help grow a local massage practice while Sarah was building up her own massage business in Richmond. “My desire to invest my time and energy into growing my own business was being strengthened around the time I later moved back to Virginia Beach. Having stayed in touch all of those years, Sarah and I knew was time for us to make our dream happen,” Debralee continues. As if the welcoming entryway wasn’t enough, each thoughtfully considered sauna room feels like something you might find in a friend’s comfortable yet lavish home. With large, vintage feeling mirrors, a roomy changing area, a hanging towel wrap, facial towelettes, and other toiletries, they’ve thought of everything to make the entire experience stress free. 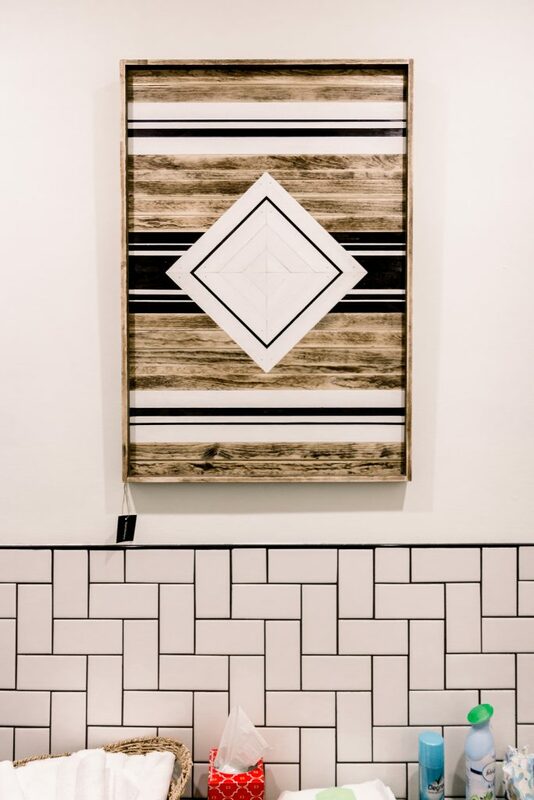 The black and white subway-tiled, open air shower and spacious bathroom is Pinterest-worthy, while select artwork by STAY (a prior Business Spotlight) adorns the hallways; adding to its modern, homey feel. “We did a ton of research on everything that went inside the studio. 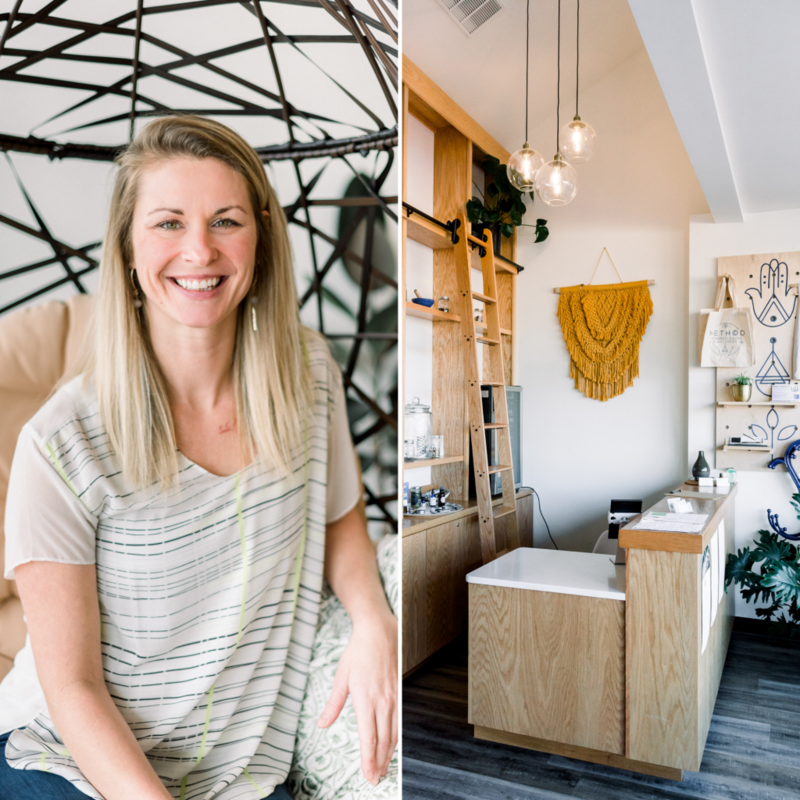 We knew we wanted it to have a high-end, boutique feel without feeling stuffy or sterile, and be representative of the local community as much as possible,” Debralee shares. When it came to deciding Method’s core offerings, Debralee and Sarah both felt clear that they did not want to just offer one thing, but have many specialties in one place so they could give their clients a variety of choices and care. Method’s infrared saunas are dry heat-based, meaning you can stay in longer and they work more effectively. 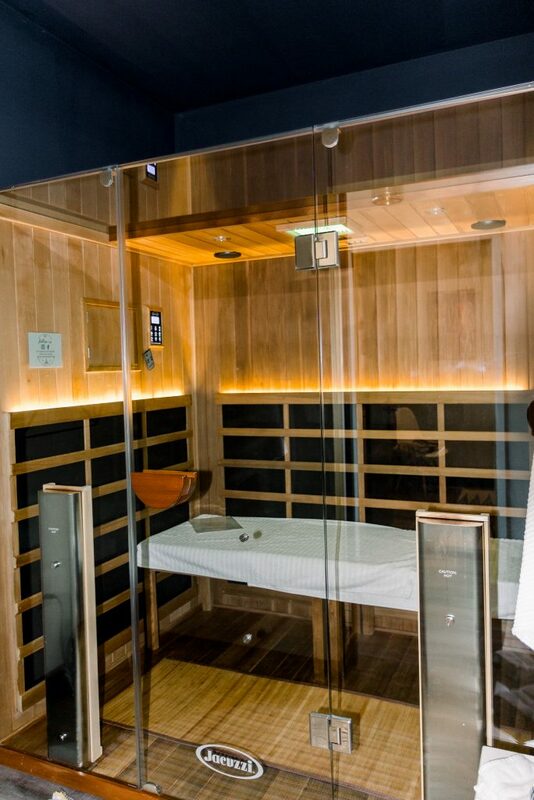 “Our saunas are full spectrum infrared saunas which include far, mid, and near infrared heat. The radiant heat surrounds you and penetrates deeply into your joints, muscles, and tissues increasing oxygen flow and circulation. Our saunas help to remove impurities from your cells, specifically the cells inside our fat where our body stores waste and harmful toxins such as cholesterol and heavy metals. Far infrared also generates a great passive aerobic exercise resulting in reducing blood pressure and weight loss,” Sarah explains. For those who love the sauna so much they go daily (and people do), Method is also a retailer for the line of saunas in their studio. Meaning, they can even help you with purchasing a personal one for your home. 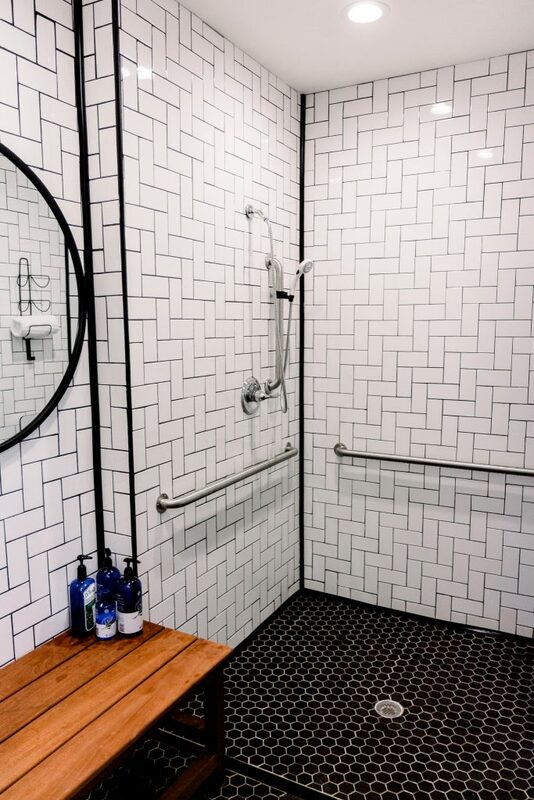 In addition to the saunas and apothecary, each of Method’s wellness services are targeted and individualized to the needs of each client at every session. “Our therapeutic massage services cover everything from prenatal, Thai, sports, deep tissue, chronic pain, injury recovery, relaxation to PTSD. Each specialist on our team has an individualized process, but we all work together to determine the best possible treatment and care for the client, based on their specific needs and goals,” Debralee continues. 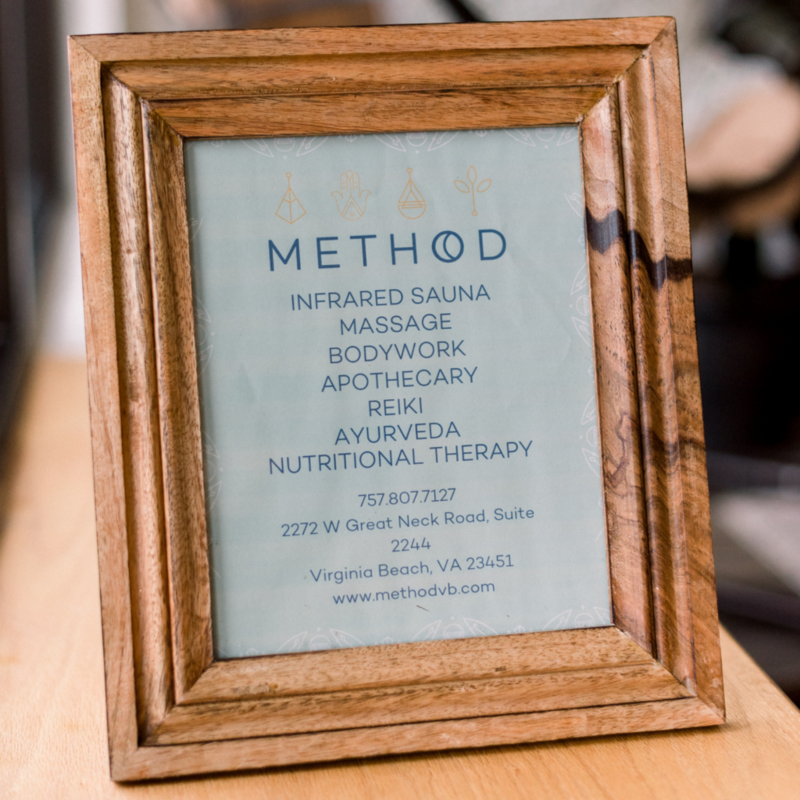 Method’s staff also includes an expert nutritional therapist, integrative reflexologist, and reiki and ayurvedic practitioners. 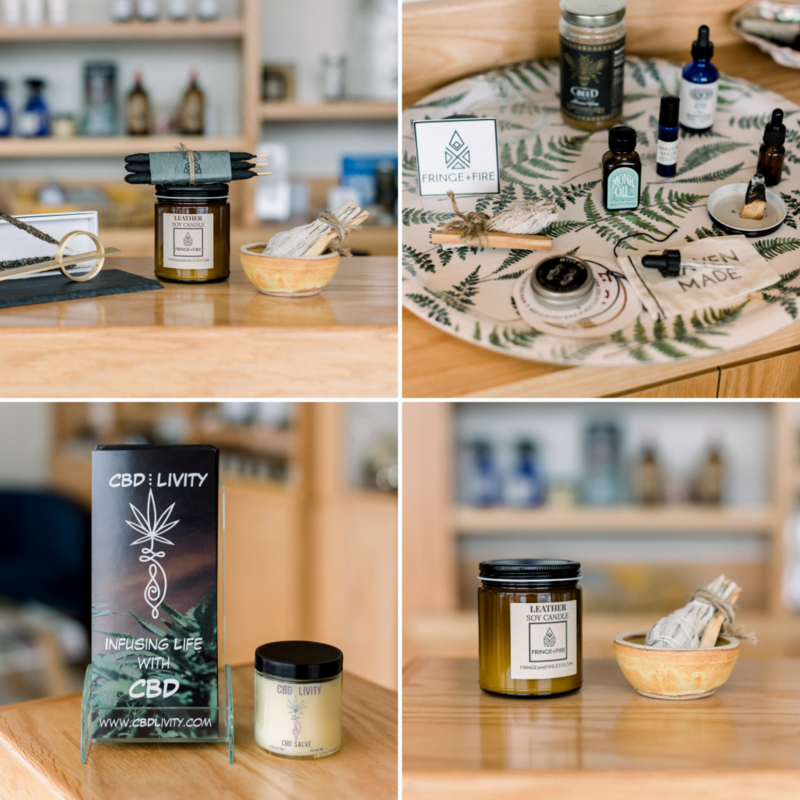 They also deliberately built a team of experts in their individual practices and connected with local makers whose products are lining the shelves of their apothecary shop at the front of the studio. Both Debralee and Sarah mentioned the importance of working well together and creating boundaries so they can each maintain a sense of work-life balance and precious time with family and friends. Despite still living in Richmond, Sarah finds herself exploring and getting to know the Virginia Beach area on a weekly basis. 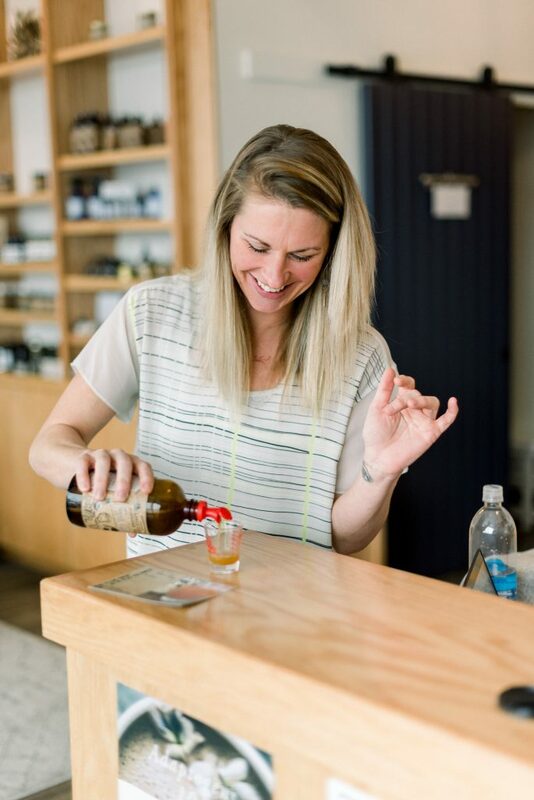 From the natural beauty of First Landing, to the shops of the ViBe District and Selden Market, she loves creating connections with the local community as much as possible. “We both really want to be involved in what’s going on around us. Right now we’re in the Shore Drive Farmers Market (when the weather is warmer), and constantly looking for events, networks, or partnerships we can contribute to,” Debralee adds. “We really want Method to be a place where people can come for healing – to help people find their method of living a lifestyle that makes them feel better, live longer, and live well. We do that by educating on healthy lifestyle practices for your every day, from the materials we use on our bodies, for our minds, and in our homes,” Sarah expresses. 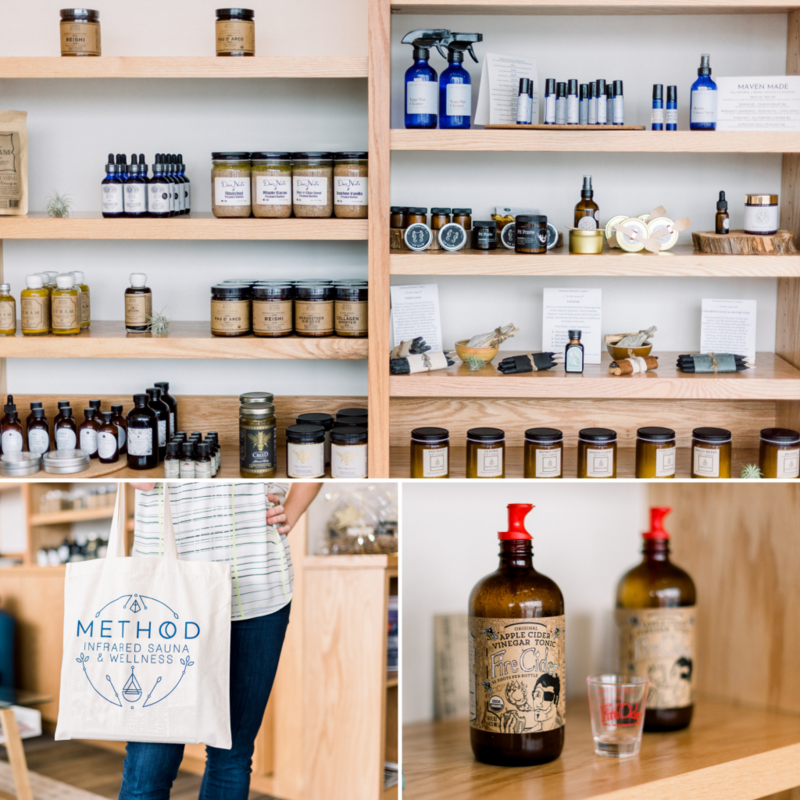 Method’s boutique hours are Monday through Friday from 9am to 7pm and 10 to 6pm on weekends. They encourage reservations for all services and extend their hours by appointment only. Learn more and book a session on their website, ask about getting an infrared sauna of your own, or connect with Method on Instagram and Facebook. Want to nominate our next Business Spotlight?